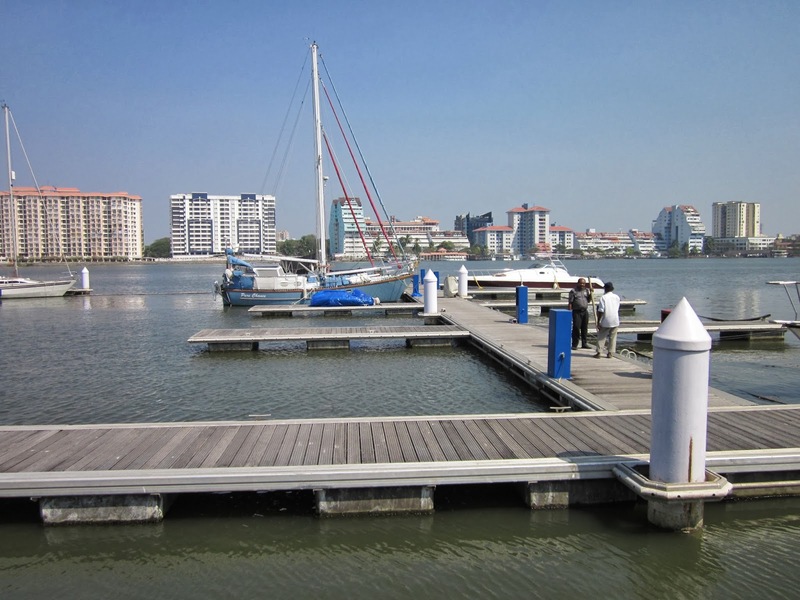 Seasonal Magazine: Kochi Marine Drive - Will Recent Developments Revive Homebuyer Interest? One of South India’s most exclusive realty micro-market just got more exclusive. Because, the urban authority planning for the expansion of this waterfront locale is now planning to back off from the second phase development that would have created more land for development through reclamation. Yet, this location is arguably the largest beneficiary of several newly approved infra projects in Kochi, if not Kerala. The city in question is ranked 6th in the country by CII for Liveability. The micro-market in mention is unique in the country for being a seaside yet next to a central business district. Customers looking to buy homes here belong to what Nielsen ranks as the 7th most affluent city in the country, thanks also due to the large NRI population. With the scenario being such is it surprising that Kochi’s famed Marine Drive is in high-buzz during this NRI season of Kerala? But not all who wish for Marine Drive, and can afford it, are going to have an address here. Authorities overseeing Kochi Marine Drive’s equitable growth are at loggerheads. On one side is Greater Cochin Development Authority (GCDA) which has been planning for long for the second-phase development of Marine Drive. According to GCDA, it is still a dream project with massive tourism potential. But not everyone is agreeing. Kerala Coastal Zone Management Authority (KCZMA) is spearheading the movement to block GCDA’s move. As per KCZMA’s view, the second-phase development will involve massive reclamation of backwaters. But that is not a fool-proof argument, as even the first-phase development that widened Shanmugham Road and created Marine Drive from the waters, during the 80s, was through massive reclamation. But times have changed, environmental concerns now eclipse every other concern, and at least for the time being, KCZMA appears to be winning. Their strategy of forcing GCDA to invest in a full-blown environmental impact study seems to be working. GCDA has recently expressed the stand that ‘wasting’ Rs. 4.5 crore for such a study alone, that too with an indefinite outcome, is not feasible. Though the final decision has not been taken, GCDA is clearly backing out. While the authorities are fighting such, those who are smiling at the outcome include all those who have a current stake on the picturesque Marine Drive Walkway, which is really a 1.5 km stretch from Subash Chandra Bose Park in South to the first Goshree Bridge to Bolghatty Island, in the North. These stakeholders include malls, restaurants, offices, and, of course, luxury homes housed in the apartment complexes along the waterfront walkway. Very few are blessed to live by the sea. For the rest of us, seashores are where we go as tourists, fill our hearts with breeze, and come back with nostalgia. Most seasides in India are also not fit for modern day living - except for perhaps some exorbitant Mumbai locales - as they will be far away from the nearest central business district (CBD). But what if a seacoast is just 1 km away from the CBD? If you have even a little knowledge about real estate, we can see your enthusiasm turn to dismay. You are right; such a place won’t be available now, as upmarket customers including NRIs would have made a beeline for it already. Even a re-sale at such a location would command a fortune. That is how Mumbai’s sea-facing locales like Malabar Hill and the apartments there came to cost a bomb. Because, there is no more land supply in such Mumbai seasides. High desirability coupled with low availability created this magic. Make no mistake, even Kochi’s Marine Drive has practically no more land. The timeless Arabian sea on one side, and the CBD at MG Road within a distance of 1 km have ensured it. That is why the remaining few ultra-premium apartments - if there are any left - make immense sense. They are practically the last chance to have a residential address at Marine Drive. The final call to live by the sea. NRIs, should take special note. Bangalore headquartered Puravankara Projects, for instance, has two projects here - the premium offering Purva GrandBay and the ultra-premium Purva Oceana which has a few more luxury units left. In fact, due to the ongoing NRI season in Kerala, such projects are already witnessing many site visits by non-resident families. They are exposed to the world’s finest living in North America, Europe, Middle East, Far East, Australia and elsewhere, and it is such customers that readily appreciate the painstaking design, planning, and execution seen in such projects. When it comes to the matter of a new home, these non-resident Keralites don’t mind spending over the top to get what they want. Site visits at such projects are also set to increase thanks to the numerous high-profile events being planned at Marine Drive for this tourist season. Prime among them is the India International Aqua Show, organised by the State Government, once every two years. The latest Aqua Show will be inaugurated at Marine Drive on January 24, 2014, and will last for five days. This year’s theme is ornamental fishes, which is a buzzing hobby among the upmarket crowd. Incidentally, don’t ever think Marine Drive is going to be an out-of-focus issue for either GCDA or Kerala Government, even if the second-phase expansion plan is dropped due to environmental concerns. In fact, Marine Drive is the one Kochi location that is going to be maximally benefited by some of the new Kochi projects proposed recently. First among them is the Tunnel Marine Aquarium and Entertainment Park project that was recently approved. Coming up on Marine Drive near the first Goshree Bridge to Bolghatty Island, the Rs. 80 crore project will span 1.30 acres of GCDA land and will be a seven-storey air-conditioned complex. Being planned on a PPP model, the project aims to replicate the highly popular tourist attraction of a Tunnel Aquarium found at destinations like Singapore and Malaysia. Apart from the tunnel marine aquarium, the Complex will have a skywalk, research and seminar centre, 7D theatre, underwater restaurant, children's play area, snack bar and fish sale counter. The tunnel marine aquarium will consist of a 30-metre-long acrylic walkthrough tunnel, which will have an automatic travelator with a 180-degree view of an ocean habitat with about 1,000 varieties of fish. The project is expected to be fast-tracked as there was no need for environmental clearance for the project, thanks to the location not falling under the Coastal Regulation Zone (CRZ) Act. However, separate permission required for bringing in marine species such as piranha, seahorse and penguins, will be sought for in the second phase of the project. The skywalk on the sixth floor will connect one end of the plot to the other, and will depict the cultural heritage of the state. The second most important project is perhaps a new Coastal Road connecting Vallarpadam Container Terminal Road with Pachalam Road via Vaduthala. Cochin Port Trust too is interested in this project as it can be used to decongest the Container Road. As such, it is likely to be included in the development plan of Cochin Port, thus speeding up processes like environment clearance and funding. GCDA is also looking to rope in support of the residents along the way, who will be benefited the maximum by this new road. Another project directly benefiting Marine Drive is the newly proposed Kochi Fast Ferry Service. The new service will also connect both ends of the Marine Drive Walkway, through water. The project is being jointly promoted by Kerala State Inland Navigation Corporation (KSINC), and GCDA, with the feasibility study done by Cochin University. The buildings to be constructed along with this project will have various facilities, including passenger/tourist amenities, ticket counters, jetty office, maintenance office etc. The new jetty has been designed in such a way that it can accommodate bigger vessels. Every agency is in fact doing its part to leverage the natural strengths of Marine Drive. Kochi’s District Tourism Promotion Council (DTPC) is in fact all set to mount a befitting challenge to more established backwater tourist routes like Alappuzha and Kumarakom in neighbouring districts. The new service by Kochi DTPC will start from the Cruise Terminal at Marine Drive, and will go to the islands located far off from Kochi like Thanthonnithuruthu, Pizhala, and Moolampilly, and conclude at Chathanad. The tourists would also be given the opportunity to conduct brief visits into the islands during these stopovers. The new route will give a firsthand exposure to traditional cultivation of ‘Pokkali’ rice and prawns, as well as the working of intricate Chinese fishing nets. The tall luxury residential projects of Marine Drive has also an added attraction on the other side. If one side is the enchanting sea, the other side is equally or perhaps more beautiful, due to the one and only Mangalavanam Bird Sanctuary, an ecologically sensitive and protected area. Basically a dense mangrove, Mangalavanam is noted for its large migratory bird population with an extensive survey identifying 194 birds belonging to 72 species. The virgin vegetation of Mangalavanam has attracted the sobriquet, the ‘Green Lung of Kochi‘. Can Marine Drive projects be good investments too? The dramatic way in which rupee has depreciated during the last couple of years is also helping NRIs to consider premium offerings on Marine Drive with renewed interest. For instance, ever since many of such projects were launched, rupee has depreciated against the dollar and dollar-pegged currencies like UAE Dirham, by more than 33%. The position of rupee against other major currencies like British Pound and Euro has been equally or even more advantageous for NRIs working in Europe or United Kingdom. While that is about the quality and cost sides, NRIs who are accustomed to the big-city way of living, equally appreciate the proximity of such projects to Kochi’s CBD. Because, the locations of such projects are second to none. Marine Drive has basically two segments divided in almost equal halves by the prominent junction with Banerjee Road. On one side is Marine Drive’s high street where there are not much new residential projects. And on the other side is the newer segment, where almost all national level developers including Puravankara, Prestige, Tata, & DLF have created their mega projects. Completed projects command a premium here, like anywhere else. For example, Purva Oceana is one fully completed project that is ready for move-in. Seeing is believing. Touching is believing. And no debates, there is nothing like a finished product in today’s tough realty market. While Purva Oceana spans 1.24 acres to house 95 ultra-premium apartments, Purva GrandBay occupies 2.65 acres to accommodate 265 premium apartments. Oceana excels in extraordinary spaciousness, with all homes being 3-BHKs ranging from 2466 sq ft to 3417 sq ft. Roominess extends through the large French windows to the king-sized balconies, which open up to the limitless Arabian Sea, with yachts sailing past from the world over, and a breathtaking view of the Bolghatty Island & Palace. It is a far cry from local developers who cram in 2-BHKs into 1100 sq ft and 3-BHKs into 1300 sq ft and call it super-luxury apartments. Outstanding amenities at Oceana include an exquisite terrace pool with a stunning view of the sunset, the exquisite marble and granite lobby with high ceiling reminiscent of star hotels, and a generous landscaped garden complete with a jogging track, despite land being at a premium at Marine Drive. No wonder then that Purva Oceana is reportedly a hot-selling product among corporate world’s who-is-who as well as high-profile celebrities. When contacted, however, Purva officials declined to disclose the identity of these celebrity buyers citing their need for privacy. Purva GrandBay, on the other hand, achieves a fine balance between efficiency and spaciousness. Home sizes at GrandBay range from 1885 sq ft to 1937 sq ft - but still significantly larger than most offerings from local developers. Also, all units in GrandBay too are 3-BHKs, thus not compromising on convenience. GrandBay too features most of the luxury amenities found at Oceana, including a premium swimming pool and a magnificent entrance lobby that is well-lit with a high ceiling and marble floors. Luxury projects here can appreciate like anything, not just due to land scarcity, but thanks to many recent strategic developments. How about a new railway station within less than one km? Marine Drive will soon have that. What if it is a metro station? That is what Kochi Metro’s planned station for MG Road at Madhava Pharmacy Junction is going to achieve for Marine Drive and its residential projects. Imagine a state-of-the-art metro station within walking distance! It is no utopia as the project is headed by Metro Man E Sreedharan and scheduled to be commissioned by 2016, less than three years from now. There is also no dearth of malls near such projects. While earlier the nearest retail destinations were Broadway, Bay Pride Mall, Penta Menaka, and GCDA Complex, with the recent opening of Centre Square Kochi by retail giant Future Group at MG Road‘s nearer end, shopping alternatives are getting too many. Lulu Mall, the biggest of them all, is also not far, and access to Lulu is going to get lightning fast from Marine Drive when Metro is going to be commissioned. Kochi’s Broadway - which is in reality one of its narrowest ways! - is the place to be if you don’t mind getting your hands and feet dirty in lieu of some great deals. This traditional mega market of Kochi is very near to Marine Drive, and is visited alike by the rich and the middleclass not only for its economy but for its collection of numerous speciality stores from where you can get everything - exotic dry fruits from Middle East to latest gadgets from China. If in doubt, visit Broadway during this Christmas season during evening, and it is sure to blow away one’s mind due to electrifying shopping buzz. But even Broadway is gearing up to shed its old world systems and embrace the modern, like Marine Drive has done. A recently approved Rs. 25 crore project would revamp the historic trading area and landscaping of Broadway. Marine Drive excels in not only access to shopping destinations, but in access to educational institutions like St. Theresa’s College, Government Law College, Chinmaya School, Maharajah’s College, as well as several reputed professional colleges, premium schools etc. Access to other distant areas of Ernakulam District as well as to even neighbouring districts like Thrissur, Kottayam, Alappuzha & Idukki, is easy due to the new expressway connecting Vallarpadam to Edappally, which makes both NH 17 and NH 47 less bothersome to reach. Cochin International Airport is also easily accessible from Marine Drive. Demand for premium housing at Kochi is also steadily on the rise due to various reasons. India’s only International Container Transshipment Terminal has come up at Vallarpadam, easily accessible from Marine Drive through the Goshree Bridges, and even visible with naked eyes from projects like Purva Oceana. Built and managed by Dubai Ports World (DP World), only the first phase of the Rs. 3200 crore project is now over, and it has already caused a spike in demand for premium housing. Petronet LNG’s second terminal in India has also been commissioned in Kochi recently. Incidentally, Vallarpadam Island, which is also quite near to Marine Drive, is traditionally famous for the Basilica of Our Lady of Ransom (Mary, Mother of Jesus), which has been designated a Major Pilgrim Centre by Indian Government and a National Pilgrimage Centre by Roman Catholic Church, attracting thousands of devotees and tourists every week. Another major project that is coming up at Kochi is Smart City, a mega IT Park, by an arm of the Dubai administration, and is sure to add to quality housing demand. Already, there is a growth in IT professionals in the city due to the high growth at the state-promoted Info Park. New wide roads connect Marine Drive to Info Park and the upcoming Smart City. Marine Drive has also appealed to buyers native to other parts of India, as well as NRIs, due to Kochi’s heady mix of traditional as well as modern strengths. Buyers from outside Kerala include those who have fallen in love with Kochi’s natural beauty as well as investors looking for a second or third home elsewhere in the country. For such customers, this city becomes a natural alternative, as Confederation of Indian Industry (CII) has ranked Kochi at the 6th position in India for Liveability, while Nielsen has ranked it as the 7th most affluent city in the country. Despite being a bustling city, Kochi holds enough natural charms to rival any destination in India. The geography is that unique. Kochi is made up of the mainland, islands, backwaters, lagoons, seasides, and what not. Beaches like Cherai & Fort Kochi; islands like Willingdon, Bolghatty, Vallarpadam, & Vypeen; mega infrastructures like International Transshipment Terminal, Cochin Port, Cochin Shipyard; and heritage locations like Mattancherry and Tripunithura Hill Palace, are all destinations unto themselves. Even the famed hill station of Munnar is quite near, less than 130 km away, and a new planned road will cut even this distance by a third. Kochi has a generous coastline of 48 km, and is virtually at the sea level. The metropolitan limits of Kochi include a scattering of islands on the Vembanad Lake, ranging from tiny 250 acre islands to modest 1500 acre ones. Water bodies are the principal tourist attraction of Kochi, and the mesmerising sea-lake confluence can be explored from premium projects like Purva Oceana and Purva Grand Bay. Because, these two are projects that have benefited the most from the recent expansion of Marine Drive Walkway towards the north side from High Court Boat Jetty to the Goshree Bridge to Bolghatty Island. In fact, the uniquely beautiful Kettuvallam Palam (Houseboat Bridge) is adjacent to Oceana. But time and space are definitely running out for owning such oceanfront homes.